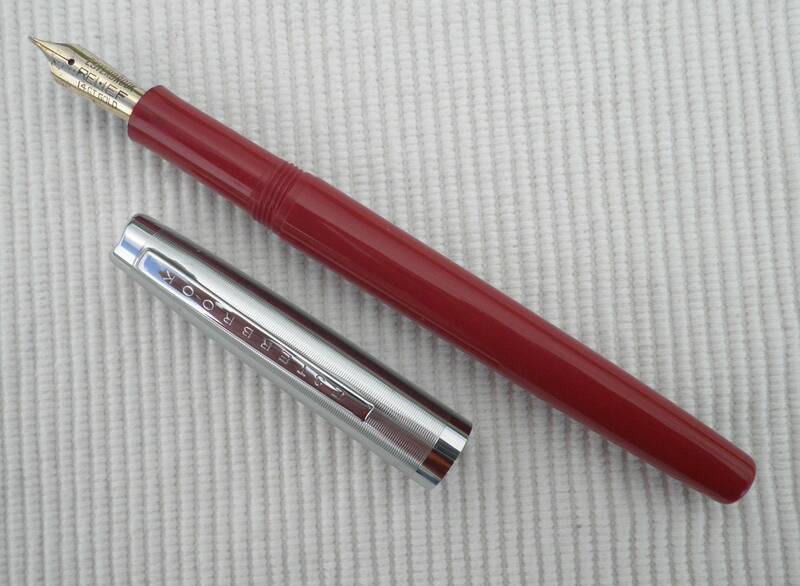 Bought a M2 with a 9128 nib on 'fleabay' for £25 as a needs repair job. Was a risk, but if the nib was fine it was a steel and it would go in to my J. Pen arrived today and all that is wrong is the sac, or lack there of. All else seems fine and the nib works well in my other estie (though on cheap paper it does snag - under a loup the nib seems fine). However, as with all things in the pen world I thought ... how hard can it be <sound of rolling thunder in the background>. Watched some YouTube videos but I seem to get conflicting advice on the sac. Some sites say it should be size 14, others 16. I do not have an accurate way of measuring the peg, which does not help. if you have a caliper with the gauge for 1/16"s, you can easily tell. The number of the sac size is n/64" for the inside diameter of the sac. I have been finding that a #15 sac fits the M2 best. Edited by gweimer1, 21 August 2018 - 19:39. I used a PVC sac meant for a Parker 51 on an M2. It has been on the pen for eight years. ...and a 51 sac is: 15/64 = a #15 sac. Well I've ordered both a #14 (Brian Anderson and some sites) and a #16 (other sites) and will see if the smaller one works before going for the latter (if needed). Will post here my results (minus any swearing). Well the bits arrived today (was at home due to my back) and I tried the #14 first - perfect fit. Now to wait for the shellac to dry/cure/whatever (I did trim the sack before anyone worried - actually about 2-3mm too short, but not a biggie). Silly question, I assume I dust the sack with French chalk/talc (on the outside) before sliding the squeeze mechanism over to stop it snagging ? (other pen btw is a J - bought one already refreshed with a view of just swapping nibs round in it). Is that a UK made M2? Gold-plated filler housing? It is a UK made pen (barely readable on the barrel). The housing looks brass. I have a UK made M2, but the housing isn't brass. 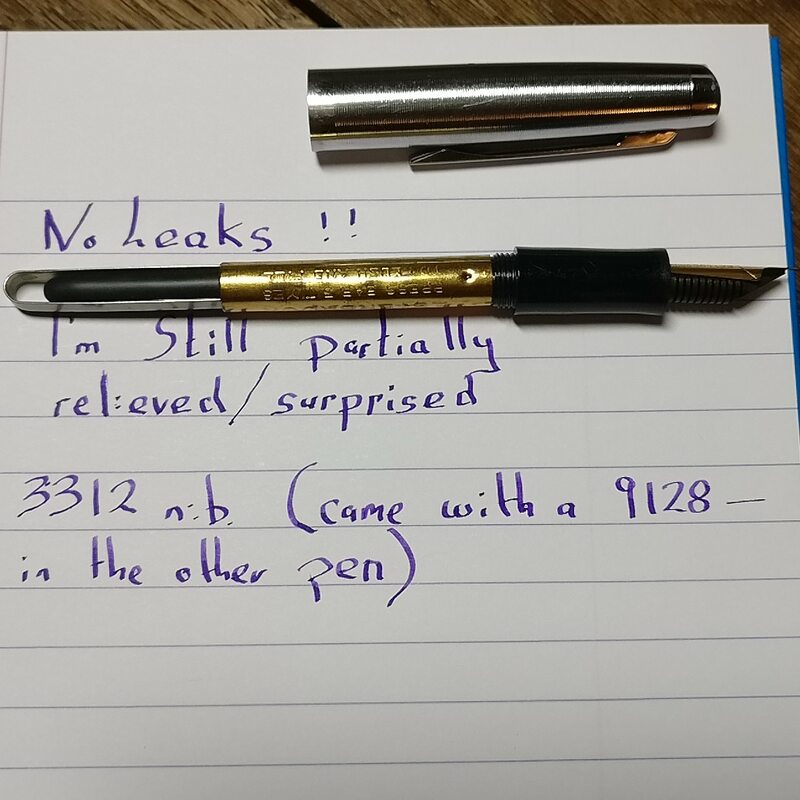 I have a different nib on mine. That's a really, really nice M2. Darn nice nib too.